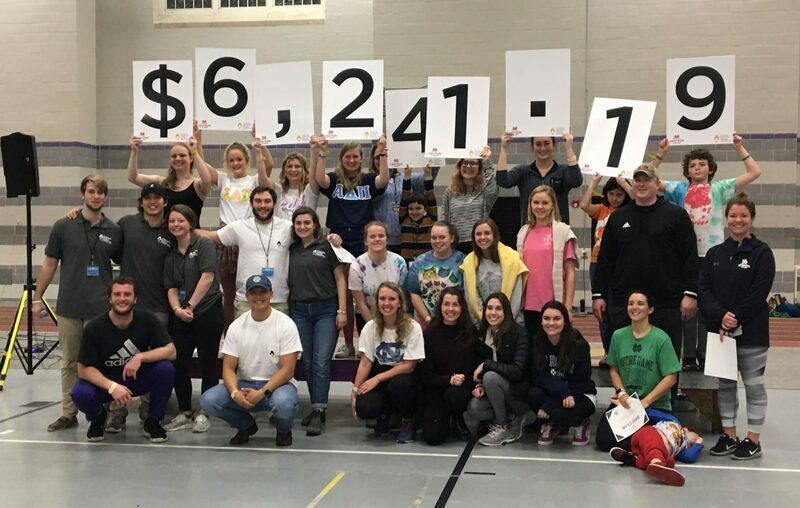 Through the week of March 6-10, 22 collegiate and independent high school Dance Marathon programs hosted their annual events, resulting in a total of $1,644,597.95 raised #ForTheKids at local Children’s Miracle Network Hospitals! 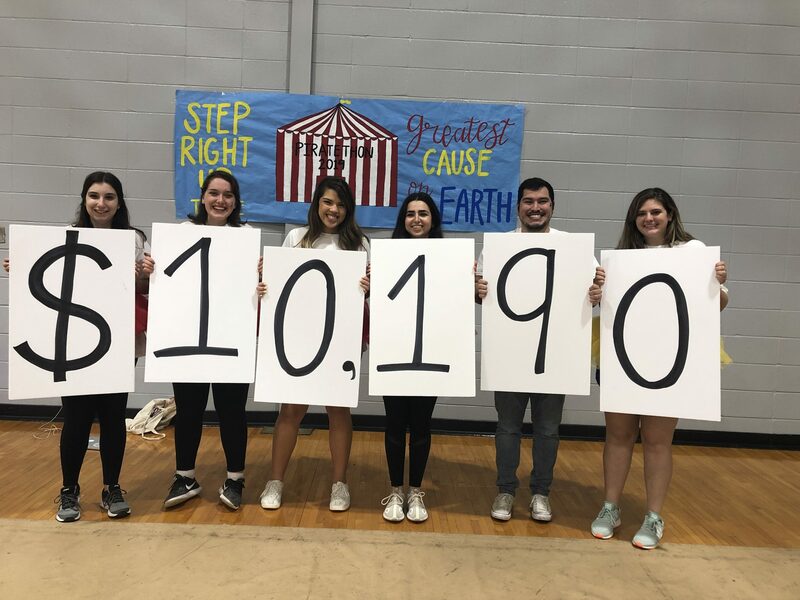 This brings the overall Miracle Network Dance Marathon fundraising total in 2019 to over $22.9 million–in just the first 2 and a half months of the year! Bates College Dance Marathon benefits the The Barbara Bush Children’s Hospital at Maine Medical Center in Portland, Maine. So that kids can be kids. Thanks for an amazing year everyone! We surpassed our fundraising goal of $15,000 and had so much fun doing it. See you NEXT YEAR!! Binghamton Dance Marathon benefits Upstate Golisano Children’s Hospital in Syracuse, New York. We raised $34,246.96 for Upstate Golisano Children’s Hospital and kids like our Miracle Child Destiny! Huge thank you to our incredible BDM committee members and students who came out to support the cause!! CSUB Runner Dance Marathon benefits Lauren Small Children’s Center in Bakersfield, California. We raised $7,544.50 for the kids! We are so grateful for @lovestravelstops for your endless support! Thank you to all of the volunteers and participants that came and supported us! Hornet Dance Marathon benefits the UC Davis Children’s Hospital in Sacramento, California. Clayton Dance Marathon benefits SSM Cardinal Glennon and St. Louis Children’s Hospital in St. Louis, Missouri. This year was their inaugural Dance Marathon event and they are a mini-marathon supported by Saint Louis University Dance Marathon. Thank you to everyone who came out tonight and who have supported us along the way!! We are so excited to announce we raised over 18 thousand big ones!! We cannot wait to see the tradition grow FTK!!! Let’s make some more miracles happen. Charleston Miracle benefits the Medical University of South Carolina Shawn Jenkins Children’s Hospital in Charleston, South Carolina. Columbia University Dance Marathon benefits Cohen Children’s Medical Center of New York in New Hyde Park, New York. Drake University Dance Marathon benefits the University of Iowa Stead Family Children’s Hospital in Iowa City, Iowa. Franklin College Dance Marathon benefits Riley Hospital for Children in Indianapolis, Indiana. $47,406.19!!! This was all FOR THE KIDS!!! Thank you to all who supported and came out to join the fun! We would not be FCDM without you! Miracle at GSU benefits Children’s Hospital of Georgia in Augusta, Georgia. $14,005 ALL FOR THE KIDS!!! We are so thankful to everyone who donated time, money, and effort to making our second Dance Marathon a success!! FTK everyday!!! 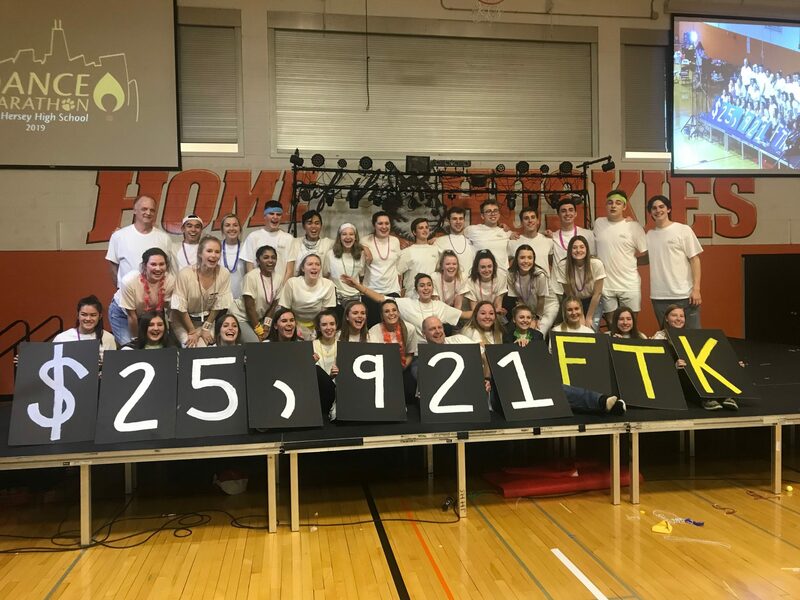 Hope College Dance Marathon benefits Helen DeVos Children’s Hospital in Grand Rapids, Michigan. Hersey Dance Marathon benefits Ann & Robert H. Lurie Children’s Hospital in Chicago, Illinois. LCC Dance Marathon benefits Johns Hopkins All Children’s Hospital in St. Petersburg, Florida. We beat last year’s total! Dance Marathon 2019 has been the best yet. Thank you to our LCC families, students and teachers for making this such a successful year. FTK! Bison Miracle benefits Monroe Carell Jr. Children’s Hospital at Vanderbilt in Nashville, Tennessee. We raised $5,653 for NICU babies at @vumcchildren!!!! Miami University Dance Marathon benefits Cincinnati Children’s in Cincinnati, Ohio. Northern Arizona University Dance Marathon benefits Phoenix Children’s Hospital in Phoenix, Arizona. Sewanee Dance Marathon benefits Monroe Carell Jr. Children’s Hospital at Vanderbilt in Nashville, Tennessee. Pirate THON benefits Dell Children’s Medical Center of Central Texas in Austin, Texas. Hogs for Hope benefits Arkansas Children’s Hospital in Little Rock, Arkansas. Terp Thon benefits Children’s National Health System in Washington, DC. 702,645.37 all For The Kids. 702,645.37 more miracles, more smiles, more birthdays, more hugs, more Journeys Ahead. As proud as we are of our 2019 total, we are even more proud of what we have been able to accomplish in the past ten years for Children’s National. Thank you to everyone who has been a part of our decade-long journey. We could not have done this without you. University of South Alabama Dance Marathon benefits the University of South Alabama Children’s & Women’s Hospital in Mobile, Alabama. USFSP Miracle Dance Marathon benefits Johns Hopkins All Children’s Hospital in St. Petersburg, Florida..
VOLthon benefits the East Tennessee Children’s Hospital in Knoxville, Tennessee. This year, we strived to #DefyTheOdds just like patients do everyday at @easttnchildrens. For the past 12 hours, we danced, we cried, we sang and we celebrated. We defied the odds. For the Kids. Because of our Miracle Makers and generous donations, we defied the odds. We raised $138,764.19. 138,764 miracles for our hospital. Next post: Cares for Kids Radiothon 2019: A Success!